Editor's note: Michelle Kadatz and Hannah Preston were the recipients of the ACC's Jen Higgins Grant for Young Women in 2017 for their big plans to climb in Patagonia this February. Below is a photo gallery featuring their adventure with some trip highlights and captions from Michelle Kadatz. Michelle started climbing 12 years ago in the Okanagan Valley. She has progressed from sport climbing in the valleys, to seeking adventure in high and wild places. She currently resides in Calgary and continues to push her limits in sport climbing, hard ice and mixed climbing, or developing new routes. Prior to Patagonia she had been a member of expeditions to Scotland, Newfoundland, and Baffin Island. When not climbing, she works as a Registered Nurse and loves to spend time with her friends. This summer she’s heading back to Baffin Island with hopes of establishing new granite free-climbs. Hannah has been climbing since she was a kid with her teddy bear clipped to her harness, and since then she has dedicated years to travelling, rock climbing, mountaineering, and improving her technical skills. She has climbed El Capitan in Yosemite Valley four times, sent 5.12 in five different countries, and loves combining the techniques from rock types around the world. Hannah is an ACMG Rock Guide, she started guiding as an extension of her passion for teaching people the technical side of climbing as well as the emotional achievements that come with challenging yourself and connecting with nature. She is also an Industrial Rope Access Technician and enjoys geeking out on the physics of rope systems. 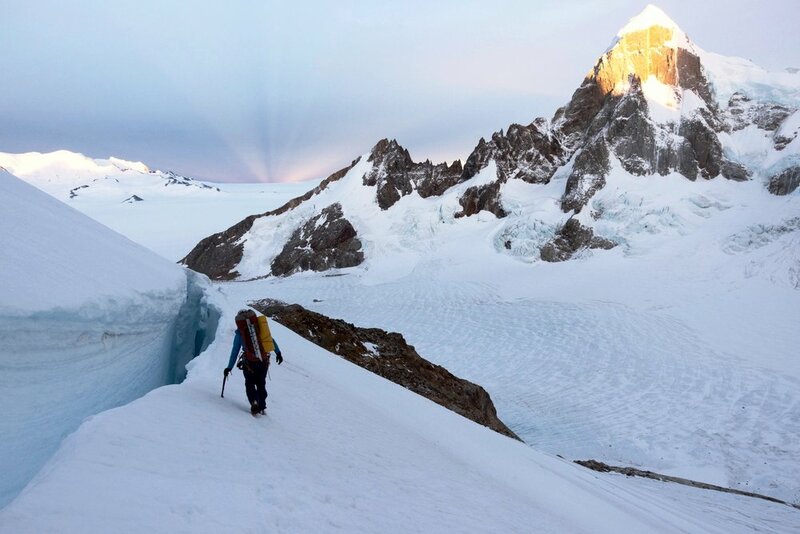 Hannah and I made our first trip to Patagonia this winter with intentions to climb Cerro Torre or Cerro Fitz Roy. Fitz Roy. Photo by Hannah Preston. All smiles and ready for anything on the hike in to Niponino. However, generally poor weather made for difficult climbing conditions and our options were limited. Over several small weather windows we managed to climb El Mocho, Torre Medialuna, and Aguja Guillaumet, all via beautiful multi-pitch rock routes ranging from 5.10 to 5.12. Hannah psyched on Voie Des Benitiers 12b, El Mocho. 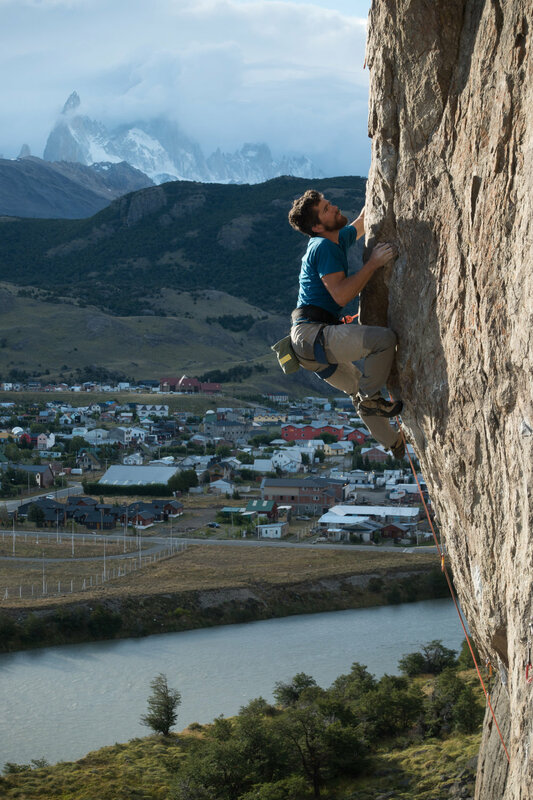 Our first climb in Patagonia! Photo by Michelle Kadatz. Enjoyable views, staring at the East Face of Cerro Torre from Niponino base camp. Photo by Hannah Preston. Michelle taking a moment to assess the damage after triple tomahawking down a steep scree slope. Photo by Hannah Preston. Resting in the sun after living in snow for two days! Letting the gear dry out and the temperature cool down before we continue up Cerro Torre West Face. Photo by Michelle Kadatz. Michelle on the Fonrouge traverse. Photo by Hannah Preston. We also made an attempt on the West Face of Cerro Torre. This involved approaching via the Standhardt Col and climbing to below Col de Esperanza, however, the end of the weather window prevented us from going higher. After four days out and nearly 80 km of slogging we completed a circuit of the range. Hannah making gains on the Standhart Col, some icy steps breaking up the snow wallowing. Photo by Michelle Kadatz. Michelle heading up Standhart Col. Photo by Hannah Preston. Hannah descending from our high point on the West Face of Cerro Torre. Photo by Michelle Kadatz. When the weather was raging in the mountains we immersed ourselves in the sport climbing and bouldering around town with new friends, cooked food, and ate Calafate berries. Local legend states anyone who eats a Calafate berry will return to Patagonia one day. Sam Lambert sport climbing in the sun while a storm rages in the mountains. Photo by Michelle Kadatz. Descending from Aguja Guillaumet after a day of stellar crack climbing! Much thanks to the Alpine Club of Canada and MEC in their support in making this trip happen. The ACC is dedicated to helping young women pursue their adventure dreams with annual cash grants from the Jen Higgins Fund. Teams must include a young woman who is central to conceiving, developing and leading the trip. The Jen Higgins Fund was established by friends and family to honour Jen Higgins after her death in 1997. Jen's enthusiasm and generous spirit continue to live on by supporting young women in creative, self-propelled, mountain adventures with this grant. 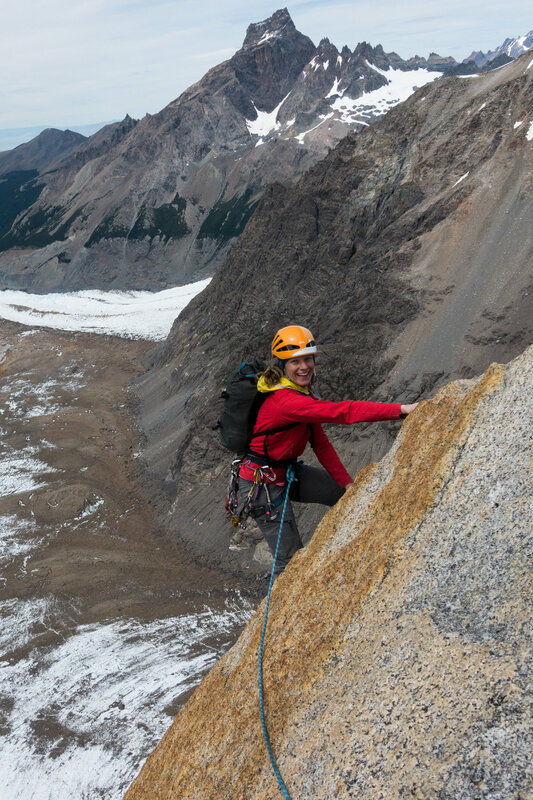 The Alpine Club of Canada is honoured to be able to continue Jen’s legacy of sharing knowledge and enthusiasm with others - the legacy of a truly adventurous and generous spirit. Annual deadline for applications is January 31. Receive a weekly digest of Aspects stories right to your inbox.